From sustainable practice to delicious fresh, fine dining food. 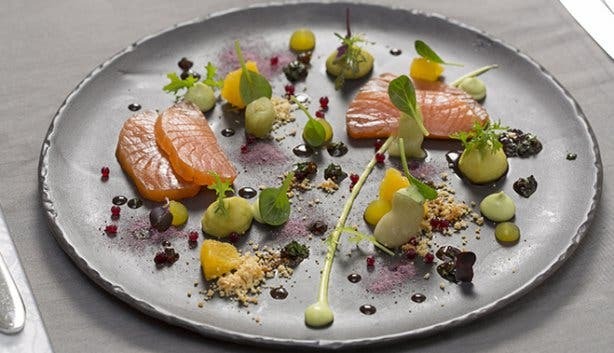 Passion on a plate; an edible work of art, or a special moment to remember... Dining out today is as much about the food as it is about the entire experience. And, if you’re heading to Towers Restaurant for the first time, prepare yourself for an experience of note. 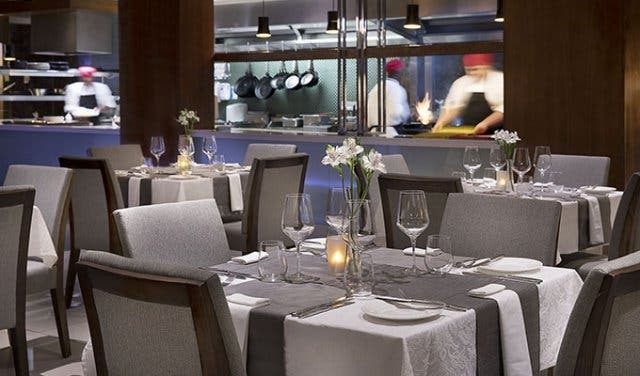 Situated just off the lobby inside Cape Town Marriott Hotel Crystal Towers, this top-class restaurant is everything you’d expect from a global hotel group: stylish, friendly service, and a comfortable contemporary décor scene to boot. Of course, there’s a lot more to creating a memorable dining experience than great furniture and clever finishes. Food. The reason for my visit is to meet the face behind the world-class meals Cape Town Marriott Hotel Crystal Towers is known for. I’m surprisingly at ease as I take in the professional, yet relaxed ambiance and head to a striking mosaic-tiled table for my interview. And, as it turns out, unpretentious is also my first impression when I meet this restaurant’s executive chef, Henrico Grobbelaar who oversees the entire culinary experience – from the great room (made up of the hotel’s lobby and deli areas), bar and restaurant, to the sushi making stations, room service, and conferencing events. 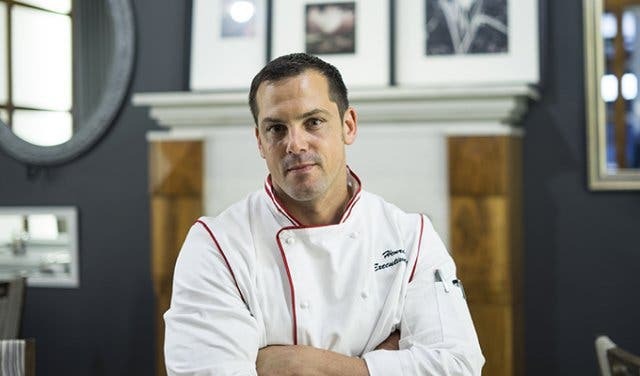 This top chef is known for his “paint on a plate” masterpieces and has an impressive reputation in the food industry – he’s a two-time captain of the South African Culinary Olympic team and was chosen as 2010 FIFA World Cup Executive Chef. Interestingly, his career didn’t start out in the kitchen – it actually began in polymer engineering. I’m curious, so I dive right in and ask what prompted this 180-degree career move. One word: passion. “I always wanted to be artistic,” he says. In fact, it’s this very background in science that allows him to use his engineering mind to store ideas, and invent ways to better organise the flow of the kitchen and synergy of his young team of chefs. 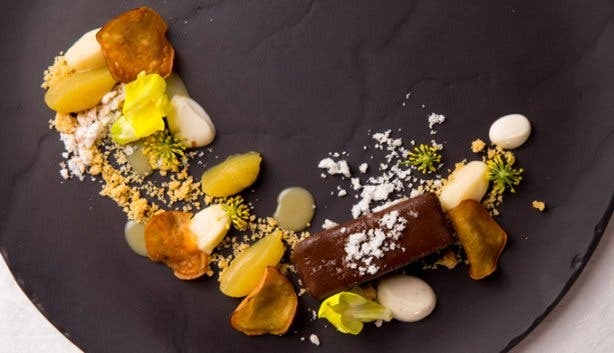 You might be surprised to learn that food trends don’t play a major role in this kitchen, especially when it comes to creating edible works of art. This is smart, considering Cape Town’s current water shortage, unpredictable availability of produce, and soaring food prices. Instead, the heart and focus is on sustainability and getting creative with the food itself. 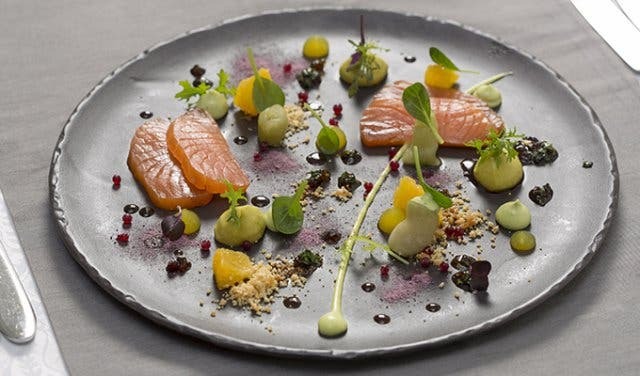 Twenty percent of each dish is made up of repurposed ingredients (that would otherwise have gone to waste) to create a bold garnish or a flavoursome sauce element. Talk about a green dining experience! 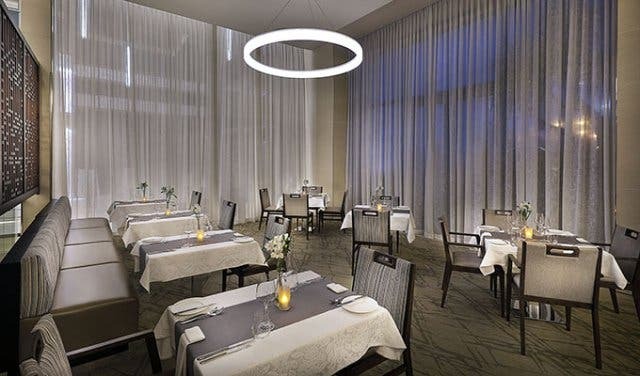 Hotel restaurants are notorious for serving fine dining meals that leave you famished, however, this isn’t the case here. In fact, you’ve got a couple of dining options available. 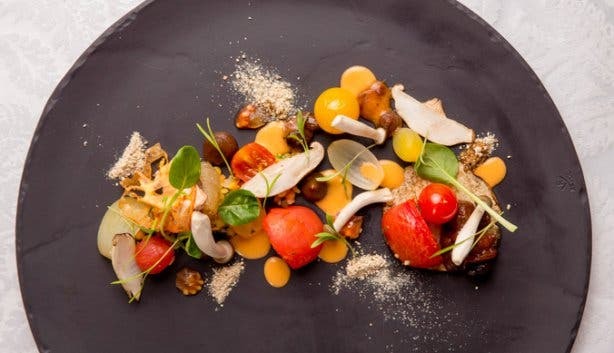 If it’s those signature “art on a plate” meals you’re after, know that value for money and guest satisfaction are top priorities when it comes to the overall dining experience here. “Our portion sizes are very good compared to other hotels,” adds Sales & Marketing Manager, Leanne Johnson-Robson. But here’s what really peaked my interest: the “build your own” dish menu option. This creative concept provides a happy medium for adventurous and picky eaters alike. Simply choose your preferred 200g grill from the selection – this includes garden vegetables of the day, as well as a starch and a choice of gourmet sauce. The reason behind this non-traditional mix and match menu selection? To provide an even better dining experience. 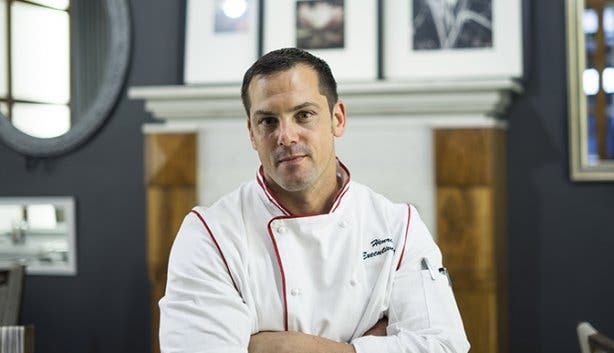 “I’ve always wanted to serve non-hotel food in a hotel,” explains chef Henrico. 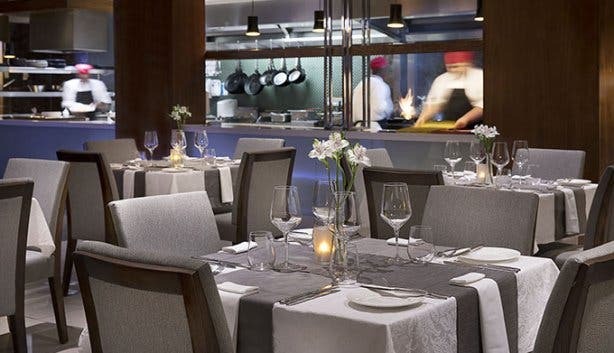 Besides the popular dinner service, Cape Town Marriott Hotel Crystal Towers also offers a romantic date night experience for couples every Wednesday. 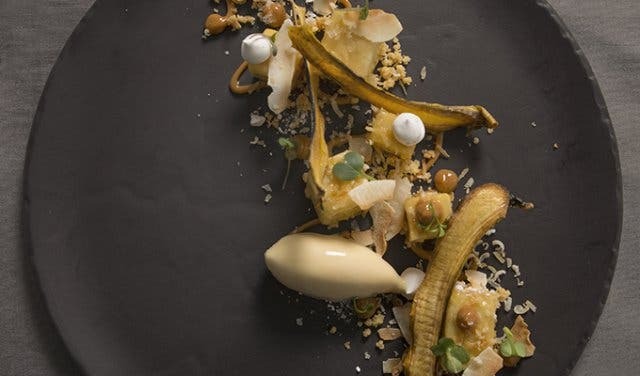 Starting at 18h00, R500 per couple includes a bottle of wine (choose from an impressive selection), bubbly or a non-alcoholic beverage, and a set menu with more than one option per course. Looking for something a little more intimate? 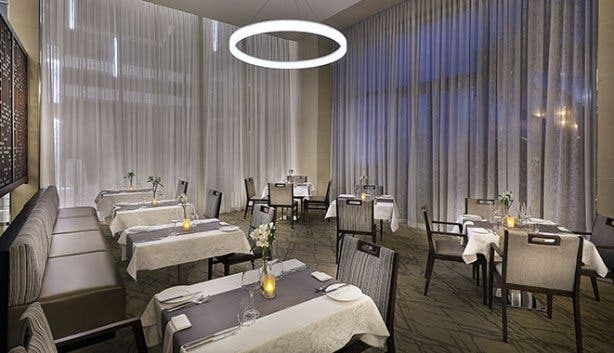 The private dining area in the restaurant offers a separate space for special occasions, like romantic proposals, birthday parties, corporate events, and baby showers. This versatile room can accommodate 12-30 people and it includes a cosy fireplace, contemporary décor, and a neutral colour scheme. If it’s sundowners you’re after, head to the pool deck on Thursdays between 16h30 and 19h00 to enjoy the half price sushi and cocktails special. Finally, the ever popular sushi making classes are back. Held on a Saturday, twice a month, this is a great excuse to bring your buds, the family, or work colleagues for a fun night out. Classes start at 18h00 and can accommodate up to 20 people. Your ticket of R335p/p includes a welcome cocktail drink, skills from a professional sushi chef, and an experience you’ll remember for years to come. As I scribble my last note and say my goodbyes, for the first time, I actually get excited about staying home for the summer holidays. Turns out, my experience bucket list just got a little bigger. Tip: Although the private dining area is usually reserved for bookings, you might be lucky enough to enjoy a leisurely dinner away from the crowd at no extra cost if the room is available. Call ahead or take a peek on the day. 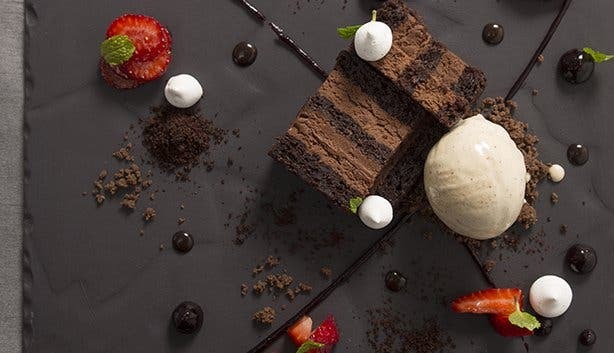 The Bill: Starters range between R70 and R150, mains start from R100 and go to R220, dessert averages around R65, and a bottle of wine ranges between R125 and R400. While at the Cape Town Marriot Hotel Crystal Towers, don't forget to check out the hotel's sushi making experience, perfect for a birthday bash or just a fun night out. Follow us on Twitter, like us on Facebook, join our Google+ circle, connect with us onLinkedIn, check out our photos on Instagram and follow our Pinterest boards for updates on what’s happening in an around the Mother City!